Great athletes become even greater with the right coach. And the same holds true for business people. Many CEO’s of major companies have coaches, and if they don’t, they have a board of directors to help keep them on track. Plus, they have an infra-structure with layers of senior management specializing in every business discipline imaginable. But how about the small to medium sized business owner? As I have come to recognize, the majority of them don’t have the resources previously mentioned. In so many cases, they have limited staffing and find themselves spending the bulk of their time “working IN” their business, versus being proactive and “working ON” their business. And when asked to go back in time and recall what their vision was when they founded their business, most are faced with a reality that they never imagined. Sure, they may not have achieved everything they imagined; that’s life and reality. But for so many, their achievements are not even close to their initial goals. 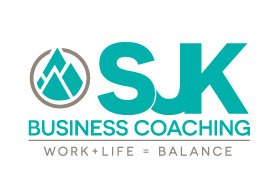 My job as a business coach is to help you achieve the success you first imagined, although it may be different now that you have a track record. And, by the way, success can be defined in so many ways, and no two success stories are the same.